Today, the 62-year-old St. George resident has summited Mount Whitney and other peaks and leads Boy Scout troops on extreme backpacking outings. 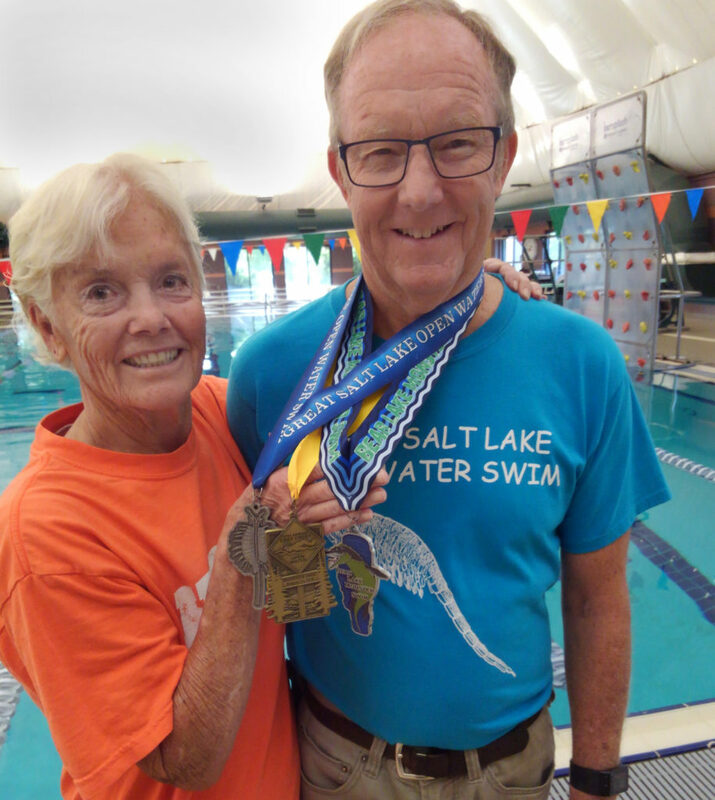 In September of this year, he also mastered the “Utah Triple Crown,” a grueling trio of open-water swims. Woodbury’s story is one of inspiration and dedication—with a healthy dose of perspiration mixed in. Throughout his childhood and young adulthood, Woodbury’s asthma controlled virtually every activity. “I really couldn’t do much of anything,” he confirms. “I took swimming lessons, but I hated them. There were days when I could barely get around.” As a child, Woodbury endured weekly immunotherapy injections; in his teens, he became increasingly dependent on his inhaler. Despite overwhelming odds, Woodbury still found ways to push himself physically. When his BSA Explorer advisor, Bart Anderson, declared his intention to take his charges on a 50-mile backpacking trip, Woodbury didn’t waver. “I thought, ‘How am I going to do this?’ But somehow, I made it the whole way…and I’ve loved hiking ever since,” Woodbury says. Sure enough, Kristen, Woodbury’s youngest daughter, graduated from Dixie High School in May of 2010. In September of that year, she and her father both entered Dixie State University (DSU). 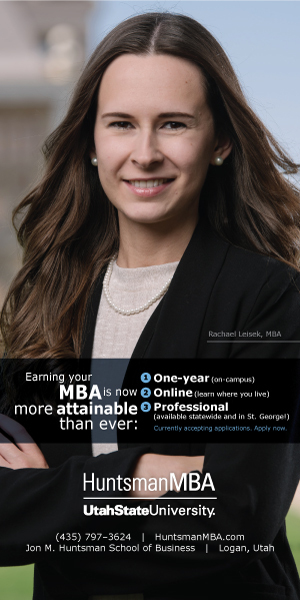 Given career demands, it would take dad seven years to complete his degree, but in 2017, Woodbury emerged from DSU with a degree in business administration with an emphasis in information systems. Over the next six years, Woodbury swam almost daily. Then, while researching upcoming meets, a unique challenge caught his attention. “The word ‘Alcatraz’ kept cropping up. 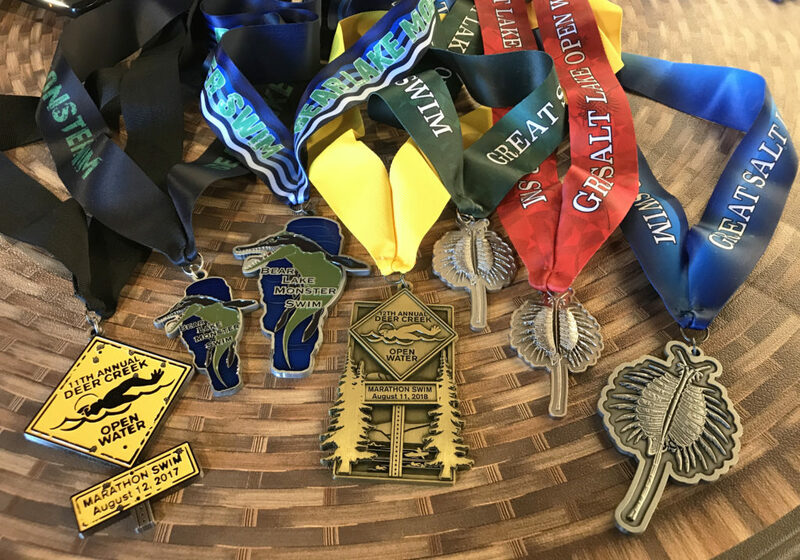 I thought, ‘Open water, sharks, jellyfish…cool!’” Thus, Woodbury trained for the 2017 Alcatraz Swim, completing (at the age of 61, and just days after his graduation from DSU) the grueling 2.2-mile slog through frigid, unforgiving San Francisco Bay waters. After that achievement, Woodbury would have been forgiven for never swimming another stroke, but more open-water swims were in his future: Mere weeks after his Alcatraz adventure, Woodbury dove into the first of the three events comprising the Salt Lake Open Water (SLOW) Mini Triple Crown. 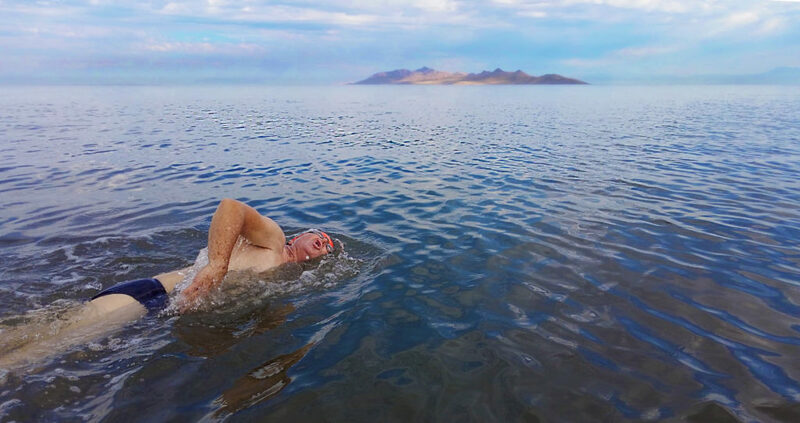 In this contest, participants complete one-mile swims in the Great Salt Lake, Bear Lake, and Deer Creek Reservoir. Woodbury found the events easily manageable—and one year later, he set his sights on the ultimate prize: the 2018 Utah Triple Crown, also hosted by SLOW. But do it Woodbury did, earning the Bear Lake medal in mid-July and completing the Deer Creek 10-mile swim and the Great Salt Lake event in September. But that wasn’t all that occupied Woodbury’s time during the summer and fall: Between strokes, he managed to climb Mount Whitney and continued the training necessary to conquer the Grand Canyon’s notorious 24-mile rim-to-rim hike in October.